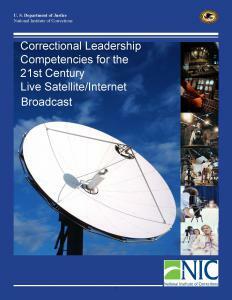 NIC believes it takes visionary leaders to improve correctional practices and outcomes. 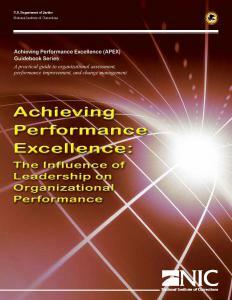 We believe leadership development is a process that requires dedicated effort. 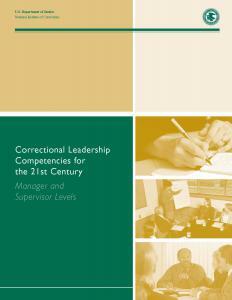 We believe effective leadership development programs align with agency operational and strategic needs. While the NIC Academy Division’s current service delivery model for managerial and senior-level leadership development is research-based in both content and delivery modes, it reaches a limited number of staff and focuses more on individual development than agency capacity. 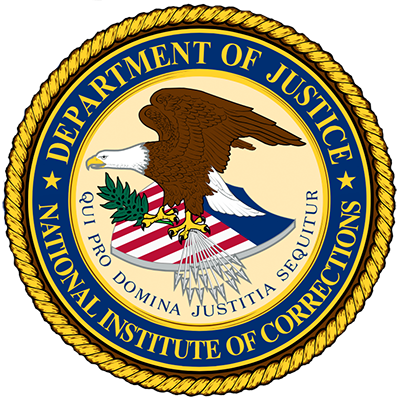 For these reasons, the Academy will no longer offer the Management Development for the Future (MDF) and Correctional Leadership Development (CLD) courses. Instead, we are pleased to introduce the Academy’s newest leadership service: The Leadership Development Partnership Initiative (LDPI). The Academy Leadership Development Partnership Initiative incorporates research, fosters innovation, and drives opportunities for professional growth by partnering with constituent agencies to plan, develop, implement, and measure agency-based leadership development programs: programs that are specific to the agency, implemented by the agency, and sustained by the agency. Agency size will not be a barrier to service delivery: Our current model makes it very difficult for smaller agencies to fill a class. 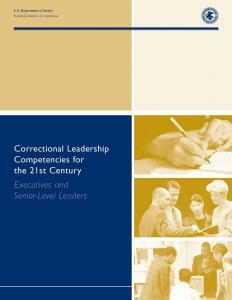 The new model will enable agencies to develop their own leadership development program regardless of agency size. There will be multiple bodies of research and science behind the service model, including implementation science, leadership development, learning and performance, and change management. NIC will recommend research-based methods of leadership development, program implementation, and evaluation throughout the course of the partnership thereby encouraging the adoption of sound, effective practices as agencies build their program. When agencies create their own, sustainable leadership development programs, they create internal capacity within the agency to effectively fill leadership positions and to positively influence agency issues such as retention, staff wellness, employee engagement, and agency culture. Rather than NIC determining content and delivery mode, agencies will conduct a gap analysis to identify competencies, content, and skill sets specific to their own agency needs and that align with their mission and vision. Agencies will have considerably more delivery options--such as mentorship, special assignments, job rotation, and continued coaching--than they had with the prior service delivery model. Hot Topic: How can I manage and communicate effectively with problem employees? Hot Topic: How can I find resources around succession planning? Hot Topic: What can our agency do about turnover rates and employee retention?